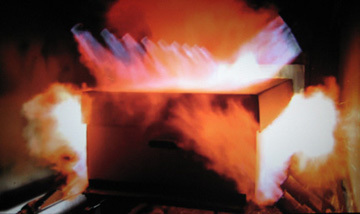 Cremation is an incredibly common means of disposition after death. The trend across North America is definitely favoring fire to earth, and yet, the process remains a mystery to most people. You just set fire to the body, right?! Well…yeah, but with all things interesting, there’s a little more to it than that. 1. How hot is cremation? Damn hot. To fully cremate a body, you need to get the temperatures over 1400° F (760° C to those in the know). At this temperature, you are able to get rid of all those pesky organic com pounds that just get in the way of tidy remains. These temperatures are reached by the use of propane or natural gas – a fair amount of it. Dumping a bunch of fuel in a brick box and blowing hurricane force winds through it creates a lot of heat. Alright, there might be a bit of hyperbole here, but you get the idea. Hot. 2. You don’t get ash back. What’s really returned to you is the person’s skeleton. Once you burn off all the water, soft tissue, organs, skin, hair, cremation container/casket, etc., what you’re left with is bone. 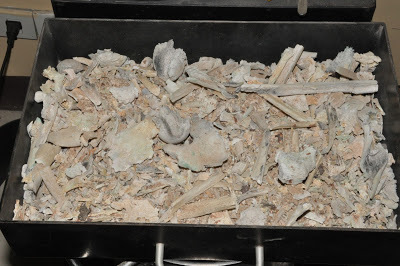 When complete, the bones are allowed to cool to a temperature that they can be handled and are placed into a processing machine. It looks like a mean margarita blender, and they are processed down to the consistency of ash, where they get their misnomer name. 3. Only one at a time, please. For some reason, people seem to think that funeral homes have a desire to pile in a heap of bodies into a cremation chamber so that they can get it all done and head home to sip some kind of embalming fluid cocktail while plotting more novel yet disgusting money saving ideas. The reality is that the law only allows one body in the chamber at a time. The only exception to this is if the family specifically requests that two people be cremated together. Space, being a premium in a cremation chamber, means that this isn’t always possible. Two adults that are to be cremated together often times end up being cremated in two separate machines side-by-side because there isn’t enough room in one. 4. Cremation is fast. Fast compared to decomposition, but most people don’t know that it takes 2 – 2.5 hours to cremate a human body. 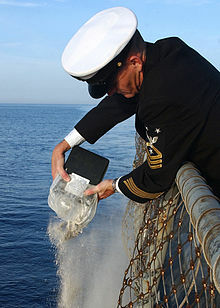 As a general rule, people don’t spend a whole bunch of time thinking about the details of cremation, and so when pressed, most people think that it should take 15 – 30 minutes. There’s a lot of water to boil off, and heating water is a long, energy intensive process. Just go watch your teapot. 5. Cremation is against (insert) religion. 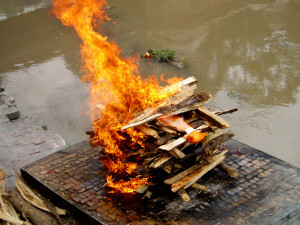 It may not be the preferred means of disposing of a body for many faiths, but pretty much everyone with very few exceptions has come around to cremation being okay. The Catholic Church revised its opinion on the matter in 1963 when they said “Fine, cremate ‘em if you want, but you better bury the ashes in our cemetery” (I paraphrase) and Reformed Jews have even made room for the practice, although it certainly isn’t exactly encouraged. As urban centers become more secular, the stigma associated with cremation has lessened. So far, we’re waiting for the empirical evidence that shows you will spend eternity in the cremation chamber, but so far, the only evidence we have is in Point 4. 6. Cremation is not a recent invention. Because the recent past (150 years) Western (North American) funeral tradition has been embalming/visitation/burial, the living memory is that of a country that hasn’t had the implementation of that “new fangled burning bodies technology stuff.” The reality is that cultures around the world have been cremating their dead for TENS of THOUSANDS of years (See Bowler, Hones, Allan and Thorne), making it more of a norm in history rather than the outlier. Cultures around the world have been using cremation as a means of caring for their dead for millennia. We needn’t look any further than India to see the evidence of an ancient civilization that has a tradition that endures with great reverence and purpose to this day. 7. You really do get dad back. Somehow the re has been a myth that has been perpetuated (like the notion of being buried alive) that funeral homes don’t have a vested interest in getting your loved one back to you. Let’s all become evangelical about reason people: Funeral homes really don’t want the liability of screwing up cremation, and they really didn’t know dad well enough to want to secret him away in some non-existent catacomb beneath the funeral home while they turn back cat litter to you, so that they can sit in the back room laughing about how they really did a number on that family! Suckers! You love your dad. 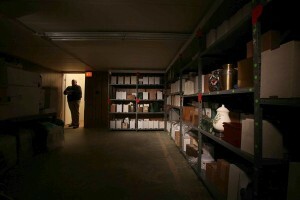 Funeral homes don’t love his cremated remains sitting in the closet. As a green funeral home owner, I do need to put my little environmental disclaimer on this. The debate that persists about how “green” cremation is, is a good one and I want it to continue. The reason being, is that green burial in a proper green cemetery is definitely better stewardship for our planet, and in my humble opinion better for families in the long run. That said, cremation’s footprint over time, is smaller than that of modern day burial. You can see my take on Carbon Accounting and Cremation v. Burial in these Undertaking posts. Have more questions about cremation? Feel free to ask below.